Brisbane is Australia's third largest city. The city took its place on the world stage in the 1980s after hosting the Commonwealth Games in 1982 and World Expo in 1988. It is still referred to today as Australia’s “new world city”. Brisbane’s relaxed but sophisticated culture, along with the city’s mild subtropical climate, has led to large numbers of tourists from all over the world visiting Brisbane each year and many Australian choosing to set up permanent residence there. Brisbane is clean, green, and friendly and is certainly an Australian city destination to rival its larger cousins, Sydney and Melbourne. Below are some of Brisbane’s top attractions that are not to be missed. Take a walk or bike ride around South Bank on the Brisbane River and take in the city sites. South Bank includes 17 hectares of parklands, restaurants, cafes, bars, boutiques, museums and galleries. Located directly opposite the CBD is Streets Beach, where on a warm Brisbane day, visitors can take a cooling swim in the human-made lagoon. Nearby Aquativity is a fun, interactive water-play park, ideal for young families. To celebrate the 150th anniversary of the state of Queensland, the Wheel of Brisbane was officially opened in 2009. The giant Ferris wheel offers a stunning 60-minute bird's eye view over the river and city during the day or night. One of the most scenic and exhilarating ways to get around Brisbane is by CityCat. Gliding along the Brisbane River, the fleets of CityCats and City Ferries, with 24 hop-on, hop-off terminals, offer a great way of taking in the history and beauty of the city. Stretching from the magnificent University of Queensland to the North Shore, the route takes you along redeveloped industrial sites, riverside mansions, bridges, and parklands. Guide your own illuminated kayak up the Brisbane River on Friday and Saturday nights and see the shimmering lights of the cityscape on a 90-minute paddle, before tucking in to a riverside meal of fresh king prawns (Friday) or a barbecue (Saturday) with famous Queensland lamingtons for dessert. Constructed during the 1930s, the Storey Bridge is one of Brisbane’s much-loved landmarks. As one of only three bridge climbs in the world (after Sydney and Auckland), this one also offers the unique opportunity to abseil the descent. Catering to people of all fitness levels and children over 10 years of age, the two-hour experience takes visitors 80 meters above the Brisbane River for amazing, uninterrupted views of the city, with exhilarating views north to the Glasshouse Mountains and South to the World Heritage-listed Gold Coast Hinterland. 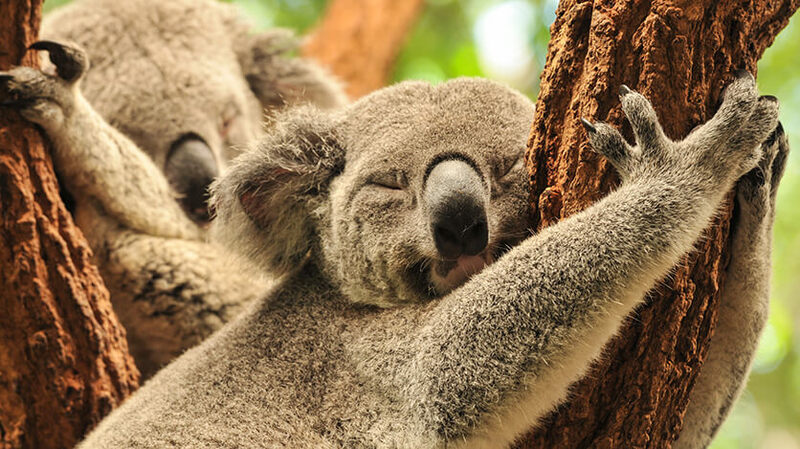 Not only can visitors get a once in a lifetime snap of them cuddling a koala at this, the world’s largest marsupial sanctuary, they can also take in a variety of other Australian wildlife such as kangaroos, wallabies, wombats, dingoes, snakes and even crocodiles. The Long Pine sanctuary is nestled on the Brisbane River and offers daily encounters and experiences, including birds of prey, flight demonstrations, platypus feeding, sheep dog and shearing shows and Tasmanian devil feeding. If 'cuddling a koala' is not enough, visitors can also have a holiday snap of them holding a snake or baby crocodile. Located on the banks of the river, in the heart of central Brisbane, this precinct Incorporates Queensland Art Gallery, State Library of Queensland, Gallery of Modern Art, Queensland Performing Arts Centre, and Queensland Theatre Company. The Museum Of Brisbane was redeveloped and reopened in 2013. Occupying the top level of City Hall, the museum brings the history of Brisbane to life through state-of-the-art exhibitions. Adding to the experience are the views of City Hall's magnificent clock tower and copper dome. GoMA is Australia's largest gallery of modern and contemporary art. Along with the iconic Queensland Art Gallery. The galleries are architectural masterpieces in themselves and boast a diverse collection of Australian and international art as well as two galleries devoted to contemporary Indigenous work. This lively shopping precinct has more than 700 retailers showcasing local, national and international brands. The Mall has a centrally-located, pedestrian-friendly street front, along with a labyrinth of heritage-listed arcades. Every Wednesday there is a bustling Farmers Market selling local produce and artisan products.